Desmond, Melanie and their son, Gordon, run Glenlohane as an extremely private house with an air of friendly informality so unique to Irish Country House Bed and Breakfasts. Certainly not considered a ‘room for the night’ type of B&B, there are no public signs at the roadside to draw the attention of casual visitors. Guests are welcomed on a pre-arranged basis and know where they are going by the detailed directions in this web site. There are no public and private quarters as in a professional place and guests may use facilities of the entire house as if staying with friends. Whether it be at Glenlohane for B&B or Glenlohane Cottage for self catering, staying is for the discerning visitor who wishes to learn more about Ireland’s history and culture through personal contact with the owners. One is also well positioned for sightseeing throughout the Scenic Southwest of the country. Approved by The Irish Tourist Board, Recommended by Alastair Sawdays’ Special Places to Stay, Michelin Guide & a member of Hidden Ireland. Glenlohane is the ideal home-base for your vacation because of our ideal location to see everything in the Scenic Southwest, because it is like returning home to familiar friends everyday, and because, if you prefer, it is simply the ideal place to decompress. Guests are a way of life for us and you would be hard-pressed to get such a welcome at any B and B, hotel or guest house – especially from the owners! We have been entertaining at Glenlohane for centuries and our family was here farming even before America gained independence. With 3 bedrooms and 2 baths, this gorgeous pink cottage and farmland setting is ideal for up to 5 people who want an original Irish cottage coupled with the ideal setting for day trips in Ireland’s Scenic Southwest. Ideally suited for guests who want a real, old-world Irish cottage (with working fireplace) but with the comforts and fast wifi of today. Couples and small groups also stay for weeks and/or months because of our ideal location. You truly have access to everything in the Scenic Southwest. Virtually all of The Scenic Southwest’s major attractions lie within 1.5 hour’s drive of Glenlohane, or 50 – 60 miles, in any direction. They include: Cork, Bantry, Ring of Kerry, Adare, Blarney, Glengariff, Tralee, Cashel, Kinsale, Kenmare, Ballybunion, Cahir, Cobh, Killarney, Limerick and Lismore. The Cliffs of Moher are about a 2 hour’s drive but we know far better, non-touristy destinations that are more dramatic and quite private for you. Glenlohane offers a comfortable and welcoming base from which to tour Ireland’s beautiful South West. We know the best places to go and the most pleasant routes to take. We’ll even help you to travel in style in a vintage car or perhaps you would like us to arrange a helicopter ride over the Kerry coast? 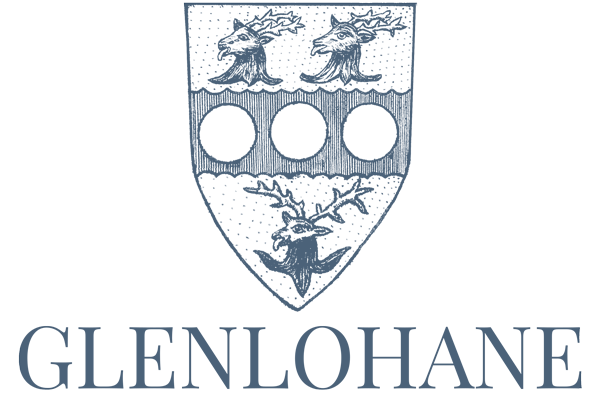 Your stay at Glenlohane will be relaxing and comfortable and as we pride ourselves on our skills as hosts you can be assured that we will endeavour to help you to have the holiday of a lifetime at the pace that you prefer. Come home each day to the comfort and style of the Glenlohane estate. I cannot think of a more elegant and friendly place to stay than Glenlohane when looking to tour the sights of the Scenic Southwest of Ireland. As a world traveller – this property ranks as one of the finest of its kind! Beautifully appointed room and bath, wish we could have stayed longer. Desmond, Melanie and Gordon were wonderful hosts and welcomed us into their home. We will look forward to returning to Glenlohane again.